The Gap’s Crown Pinot Noir is deep, yet vibrant garnet in color with effusive aromas of wild blackberry, baking spice, wet stone, and beautiful perfume. It is densely concentrated on the palate with blackberry, cola, and pepper flavors. Textured and robust, this wine has a delightful balance of tannin and bright acidity. Spicy oak notes integrate perfectly as it progresses to a long and powerful finish. 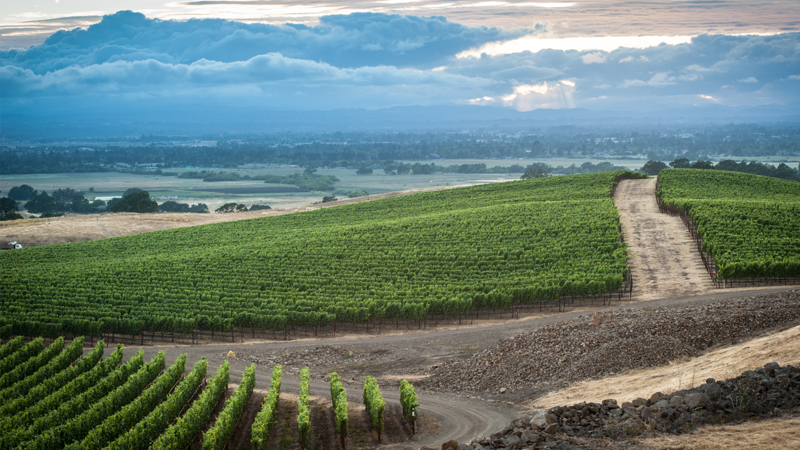 Gap’s Crown Vineyard is located in the heart of the Petaluma Wind Gap area of the Sonoma Coast Appellation. Gentle slopes, heavy fog, and rocky soils produce these exquisite wines of great depth and richness.